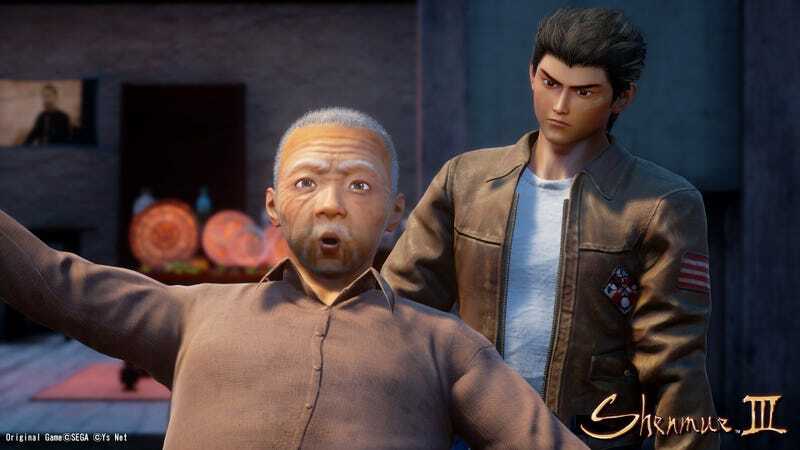 Rest easy if you thought the Shenmue III trailer was real bad. In a recent interview, Yu Suzuki talked about the “stiff” facial animations, saying that they’re temporary. Phew. Here is the exchange with Japanese website Game Watch Impress as Yu Suzuki watched the Shenmue III trailer. Game Watch Impress: Is this trailer all in-game? Or is it pre-render? Suzuki: It’s a completely in-game trailer. Game Watch Impress: As for the completion percentage, how much of it [the game] is done? Suzuki: Because this is various scenes tied together, saying how much [is done] is difficult, and as for the characters, everything is still temp data. Game Watch Impress: The characters facial expressions are still or, how should I put this, fixed, but this part will actually change? Suzuki: Yes, we haven’t yet put in the facial expressions. Until a month ago, we had put in the facial animations, but for the moment, they’ve been removed. Game Watch Impress: The audio is wonderful, and is it a new recording? Suzuki: No. This still uses audio from Shenmue II. So, from the sound of it, the trailer features temporary assets and doesn’t have the proper facial expressions. That explains a lot!